Homestead, Florida is one of many communities within Miami-Dade County. It lies between the Everglades and Biscayne National Parks and is known as an important agricultural area. Homestead, which had an estimated population of 69,907 individuals as of 2017, is Miami-Dade County’s second oldest city, behind Miami. 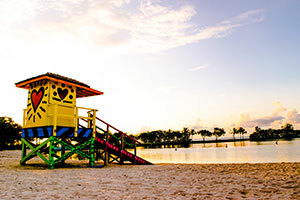 It also is a suburb of Miami and is predominantly focused on family life. However, no family-focused suburb is perfect. Every town has its ups and downs, including accidents that result in injuries and fatalities. If you lost a loved one in an accident caused by another party’s negligence, recklessness, or willful misconduct, you should speak with a Homestead wrongful death lawyer as soon as possible. Our experienced attorneys at Gerson & Schwartz P.A. are here to help. To schedule a free consultation, you can reach out to us online or call (877) 475-2905. Whether or not you can file a valid wrongful death claim in Florida is based on Florida Statutes §§768.16-768.26. These laws dictate when a wrongful death claim is appropriate, who must file the claim, the time limit for filing a claim, the possible beneficiaries, and the potential damages. Because all of this information can be complicated and nuanced, it is important to speak with a Homestead wrongful death attorney before trying to pursue a wrongful death claim. The conduct that caused the person’s death would have entitled them to bring a personal injury claim and receive compensation had they lived. If this is true in your situation, then the lawsuit must be brought by the personal representative of the decedent’s estate. Unless you are the personal representative, you cannot file the claim. This is true even if you are the decedent’s surviving spouse, parent, or child. That being said, it is common for a surviving spouse or parent to be the personal representative of the estate and therefore, to be entitled to file this action. When the personal representative files a wrongful death lawsuit, they do so in behalf of the decedent’s estate and survivors. Under Florida law, “survivors” means a decedent’s husband or wife, children, parents, and any other blood or adoptive relatives who were fully or partially dependent on the decedent for support or services. To discuss who may file a wrongful death lawsuit after your loved one’s passing and who may receive compensation in a successful claim, contact our wrongful death attorneys in Homestead. We will carefully review your circumstances and advise you of your rights and legal options. How much you and your other family members may receive depends entirely on the circumstances. There is no set or common financial recovery for a Homestead wrongful death claim. It is best work with a Homestead wrongful death lawyer to ensure your economic and non-economic damages are properly calculated and proven. When you believe your spouse, parent, child, or other relative’s death was another person or business’s fault, it is essential that you speak with an experienced attorney right away. At Gerson & Schwartz P.A., our bilingual attorneys will meet with you and listen to your story. It appears another party was negligent, we will thoroughly investigate your loved one’s death and guide you through the wrongful death claim process. To schedule a free, no-risk case consultation, call us at (305) 371-6000. You can also use our online contact form to request an appointment.